Ted Harada is a wonderful patient advocate for the stem cell field and for the development of safe and effective stem cell products to treat ALS. Ted has ALS and received stem cell-based treatments for it with surprising, very encouraging results. 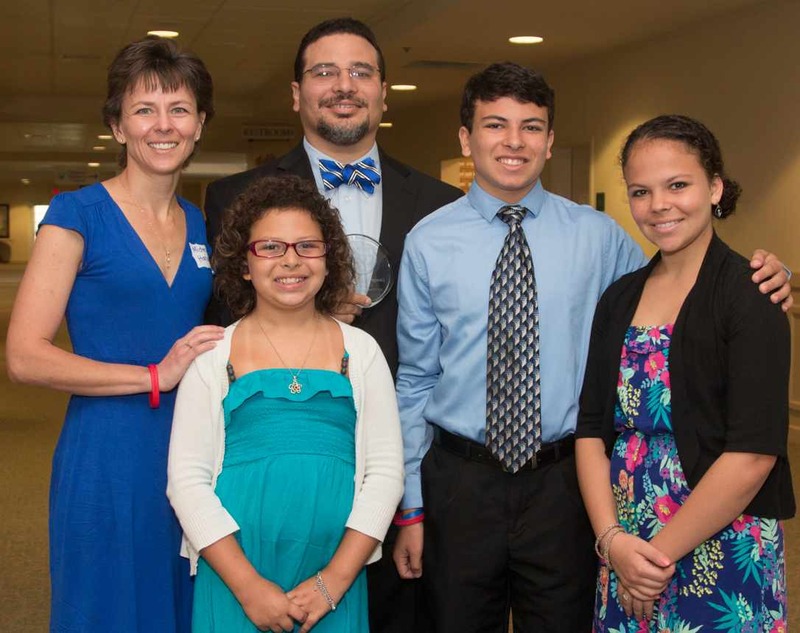 The Harada family is pictured at left with Ted, his wife Michelle as well as their three children Ted, Jordan, and Ashleigh. Ted was a finalist for this blog’s Stem Cell Person of the Year Award last year and he achieves a great deal by doing his homework and working very hard. I just invited Ted to do an interview about whether things stand on ALS today. Below you can find Part 1 of my interview with Ted including his perspectives on the Ice Bucket Challenge. Part 2 will follow soon including Ted’s thoughts on Neuralstem, Right To Try laws, and how Ted’s doing these days. What are the most important things the public needs to know about ALS? Ted: ALS is 100% fatal. There are no survivors. There is no known cause and no known cure. Every 90 minutes in this Country someone is diagnosed with this insidious disease and every 90 minutes someone dies from ALS. Where do you see things today overall for the prospect of using stem cell-based therapies to treat ALS? Hopeful? Discouraged? In the middle? Why? Ted: Honestly all of the above. I am obviously hopeful, how can I not be hopeful with the results I had that were supported with empirical data. That being said a few things frustrate me. Cases like mine lead to what I believe are less than ethical stem cell clinics that pop up around the globe and even in our own Country. People who are dying are willing, understandably willing to try almost anything and pay a lot of money for it. So preliminary success definitely leads to I believe what the industry refers to as stem cell tourism. The other thing that I am waiting with baited breath for is more documented stories like mine. I believe what really complicates all treatments for ALS stem cells or otherwise is that ALS is really a syndrome. So there are most likely many forms of ALS therefore as my Neurologist has said to me I may have found what can help your form of ALS but I have no idea what your form is or anyone else’s form. I once heard a Neurologist give the example of saying a patient has ALS is like saying every time a radio breaks the radio has radio disease. We know there are many reasons why the radio stopped working. Therefore if you took 100 radios and put them in a trial where you were going to change all of their speakers logically we know that only a small percentage of those radios will be fixed by changing the speakers. That being said I want to reiterate in the big picture I 100% believe that stem cells or perhaps a combination of stem cells and drugs hold the most promise for the future of finding a treatment for ALS. The Ice Bucket Challenge has drawn some great attention to the ALS advocacy arena. Can you tell us more about it? Do you support it? A young man that I have had the pleasure to meet Pete Frates a former Boston College baseball player who has ALS saw this novel concept on the internet but it was not tied to a specific charity. He took the idea named it the #ALS #icebucketchallenge and started challenging athletes he knew from Boston College from ice hockey and football and baseball etc and the phenomenon has obviously become a viral sensation that has done more to raise awareness and funding in just a few short weeks than has been done in the 75 years since Lou Gehrig gave his famous speech retiring from Baseball due to the fact that he was being killed by ALS. I am a huge supporter of it, I have participated in it twice and as of 8/20/14 the challenge has raised $31 million for the ALS association. Hopefully all this money will lead to a cure but in the meantime the disease while no less devastating today is certainly a lot less lonely. Please continue reading on Page 2! Neuralstem flirting with stem cell noncompliance in Colorado via Right To Try Law?